I'm brand new on here and have been having a look through some threads. All looks great. I've just taken delivery of my first 911. It's a 1998 Carrera 2 3.4. Dark blue, not sure what it's called, factory aero kit and the gt3 split rims. 74'000 miles with a good history to back it up. It's an m030 car with lsd. Having a look at project threads which are a great source of info on random small jobs to to keep them tip top. I'm a mechanic by trade but haven't worked at it for a while but I'm more than capable and will maintain it myself. It's a weekend toy but probably won't ever do much. Just having a look at the service history and it's overdue by a few months. What oil does everyone recommend? I'd be a fan of millers stuff. Where's best for filters etc? I had a 968 a few years ago and found porsche to be as cheap as any for random bits I needed. Most of us use 10w 50 Millers from Opie oils, as recommended by a Hartech. It offers better hot temp protection which is good for the main bearings. Opie often have 15% off etc if you're lucky with your timing. Oil filters are made by Mann. The printed text on them is identical to the OPC ones. I used to go to OPC for them but I just let my Indy fit the Mann ones now. Car sounds ace! 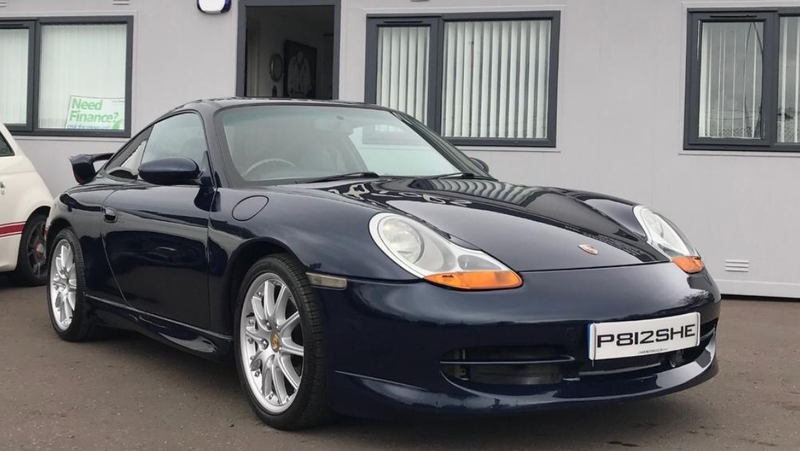 The best spec for a 996 in my view. I look forward to some pics or an owners thread. They're good to work on especially if you're already a bit handy with the spanners. I'm not, but even I manage most bolt off - bolt on jobs. Welcome! Sounds like a great car- probably Ocean blue, or if it has a more purple tint then Zenith blue. Do you know anything else about the spec... LSD M030, original aerokit etc? Carparts4less are another good source of bits. Register with both and you get promotional offers regularly. Welcome! I maintain my 996 myself too, its great fun (said through gritted teeth). Until my last service at 120 odd k it's always had mobil 1 0w 40. Usually get all the oil, filters and plugs from carparts4less and use their discount codes. I wouldn't bother with the millers unless I had a 3.6.........but that's just me. Thanks for all the replies. Never been great with the forum thing so I'll give the pictures a go tomorrow if I can take some decent ones. Car was dropped off with me today. I'm kind of outa action atm as I'm waiting for surgery on my back but I'm up to small jobs. Only managed to get 15 minutes free this evening to get a blast out to see how it feels. It was bucketing down so I was soaked getting into the car, in the dark so didn't really get the Windows cleared. Windscreen was fine but sides were misted so hard to see. Car has a full stainless exhaust inc headers I'm told but I need to get a proper look to see what alls there. Sounds nice. I sold my p1 Impreza to buy it and it'll only ever be a toy. On the to do list is service, check engine/gearbox mounts and go from there. I used millers in the p1 so I'm happy to use it again. But how much do I need? 8 litres? I'll check the air filter tomorrow to see what it is. Bit of luck it'll be a k+n. This is it. It’s not on that reg though. Midnight blue? Nice wheels and thats a lovely looking car! You wanna bet? Think you'll be quite shocked once you've owned it for a whole and taken it to its extremes on some country twisties. Thanks guys. The paints tidy enough on the car but it just dosnt shine. Last owner just had the wheels refurbed so they're nice and tidy. Was just having a look on auto doc. Parts are reasonable but with the spark plugs especially, I've no idea which to go for. Seems to be plenty of bosche, is it just a matter of picking the cheapest as they're all same from different suppliers? As for the oil, I normally just pick on eBay for the postage rates as I'm in Northern Ireland and we get crippled with the courier costs or a lot of the time they just don't send here. Found millers nano 10/50 for £40 for 5l so I'll probably just get 2 of those. There's more chance your coil packs will be in a worse state than your plugs (unless they've been changed). Have a good gander at them for cracks. Car looks great, welcome to the forum. Another self confessed spanner spinner here, most jobs on the 996 are really quite simple especially if you have a little background in cars. Anything you need to know just post up, between us we have been through most things and there will be an answer for all your questions. I have 4 young kids so times always against me but thereoalways be at least 1 wanting out for a spin. It’s over due a service but it’s done next to nothing since the last service. What’s people’s opinions on the airbox mod that seems to be popular? The 1 by blanking off the small resonating pipe on top off the air box? Looks awesome. Welcome to the ownership experience.